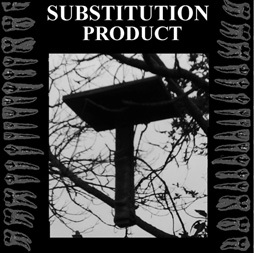 SUBSTITUTION PRODUCT - CDr out now ! AGATHOCLES (Bel)/ NO JOY (Ita) Split CDr. DEEPLY CONFUSED (Can) Deeply confused MCD Demo. MASKED DIODE (Jap) Chusushinshoku CD. KAPRELES (Bel) Soundtrack for a headache Demo tape. Va - Leg Getter Compilation CDr. Fukk Norway Tape out now! 2 demos in one tape. JUNKIE WARRIOR - Juse one more demo of... Demo CDr. UNHOLY WAR (Ger) Tormented souls Demo CDr. DARKTHRONE IS DEAD - Fukk norway Tape. H418ov21.C (Ger) Verloren Demo tape. ANONIMUUS CREATURE/ INSOLENCIA Split tape. Special packaging. ANONIMUUS CREATURE - When my morbid torments are speaking deeply with my death Demo tape. UNDERGROUND MORTO (Portugal) Underground morto Demo tape. Special packaging. DISFIGURED HUMAN MIND/ AGATHOCLES Split tape. Special packaging. REDROT - Cathedral of filth CDr. Dvd case. IZOBEL (Jap)/ SURGE LINE (Jap)/ MR.BILL and SPOT (Jap)/ L-BEZIO (Jap) Split CDr. right in the middle between old school thrashing death and a more adventurous death metal that keeps an old school aura. Recommended for fans of old school darkness who need something more unusual. Think about very early IMMOLATION, early GORGUTS (First albums), old MASSACRA, TIMEGHOUL, old MORBID ANGEL with a touch of early SUPURATION and old SKELETON OF GOD. This demo composed of 5 compositions was initially recorded more than 17 years ago, and released very confidentially on CDr format... It is now finally rematerialized on tape for your morbidly epileptic pleasures! Strictly limited to 100 pro tapes (Factory pressed black cassettes + pro covers). VISCERAL CIRCUITRY New webshop ! Mostly grindcore/ Noise/ Dark/ Experimental… Sick sounds. Cheap prices and really obscure stuffs. The current webshop will be dead in few months… It’s necessary to move on! KIKANJU BAKU/ JAMES FREI (Uk) No one teaches the snake to strike CD. COLICO (Ecuador)/ CACASONICA Split CDr. COLICO (Ecuador)/ GORGONIZED DORKS (Usa)/ KUUAF (Ecuador)/ THEOLOGYCAL (Spa) 4 way split CDr. JESUS OF NAZARETH (Usa) The shame of being a child CD. MONARCH (Denmark) Netherthrone Demo tape. TYRANNIC HORIZON (Uk) I swear I might hijack a plain(s) CDr. Kikanju Baku/ Channel 83/ 886VG/ Illusion Of Safety/ Terrorist Kriss/ K-zone/ Nabeg ‎Split CDr. GORGONIZED DORKS (Usa) Aural Ecstacy Tape. MEATUS (Can) Vomitings of every kind Demo tape. CALLOUS HUMANITY (Usa) War for all Demo CDr. TRAGEDY BEGINS (Gre) Jehova in extremis Demo CDr. VORNOFF (Denmark) Body and blood Demo CDr. COMFORTER (Russia) Values, needs & delicate brainwash CDr. CARNAL GROCERY (Fra) Do you want your tsantsa? CDr. CANNIBE (Gre) A basket of vaginal maggots CD.